More than 70 LdM students and staff will be participating in the charity event against breast cancer on Sunday, October 13. On Sunday, October 13 a special event will take place in Florence: Corri la Vita, a marathon for the battle against breast cancer. 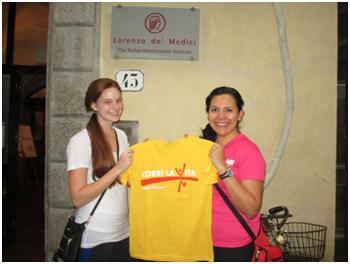 During this 11th edition for the first time an organized group of over 70 LdM students and staff will participate in both the competitive run as well as the recreational walk of resp. 13km and 5km.